When Bardy Azadmard happened upon a run-down trailer on the side of the road, the design architect was immediately intrigued by its unique lines. 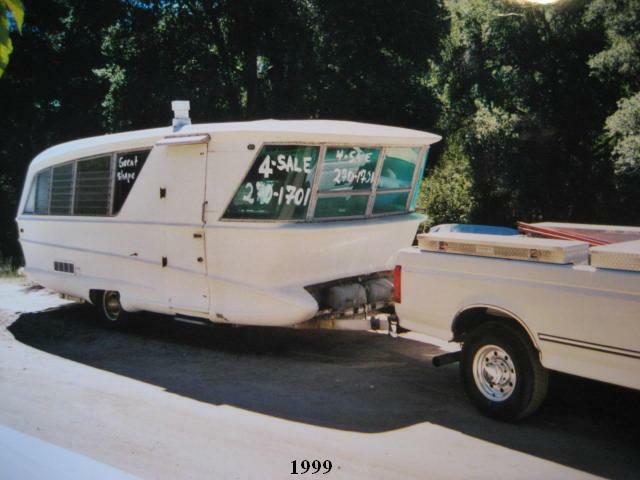 This was 1999 in Valencia, just outside L.A., and Azadmard was able to bargain down the purchase price of the trailer to a couple of hundred dollars. Despite the fact that the trailer was in poor condition--it was so rat infested that all the electrical wires had been chewed through--Azadmard knew he had something special on his hands, especially as the unit came with all the original brochures and receipts. Following Azadmard's purchase the designer founded the website 1960Prototype.com, which follows his journey in restoring the trailer and learning of its unique history. According to 1960Prototype, in 1959 David H. Holmes, an Air Force veteran and pilot, came across the drawings that designer Charles Pelly has made for a "dream trailer." Using Pelly's designs as a jumping off point Holmes imagines the first "Trailer for the Rich," which would include all the comforts of home on the road, and he patented his "Model X" idea. Lawrence McCane of Industrial Design Affiliates and Robert B. Brophy, an expert in fibreglass for missiles and satellites, began work on bringing Holmes' idea to life. 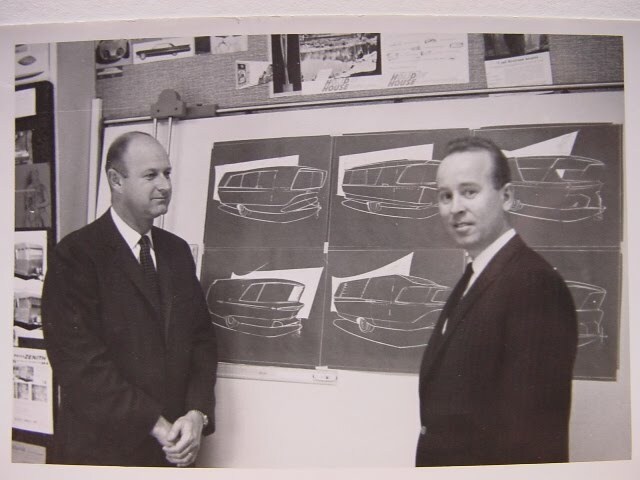 At the time McCane noted that what they were working on was "ten years ahead of the trailer industry in concept, design and construction principles." A year later the completed fibreglass prototype, known as the Geographic, was sent to a large trailer show in California. Being so advanced and luxurious also meant that the unit came with a hefty price tag ($8,495). The high price made the purchase of the Geographic cost prohibitive and eventually the model was sold to the manager of the showroom where it was being presented. After the manager's death the trailer, along with the brochures and receipts, was passed into the hands of her sister who would eventually sell it to Azadmard. Azadmard writes that after purchasing the trailer he knew he had found "not just a unique, but also a One-of-a-Kind trailer." 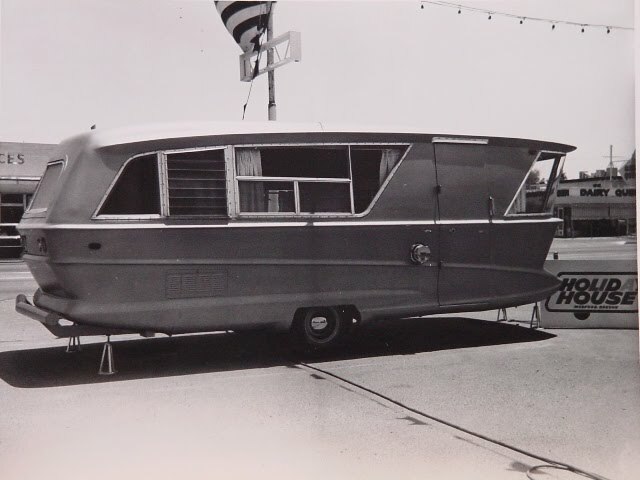 After further research the designer "decided to restore the trailer and save this piece of American History...All original appliances: Magic Chef stove and oven, Norcold refrigerator, air conditioner, heater, etc. are now in working condition. All original teak and walnut cabinets and wood are [also] restored to their original condition." The careful restoration has indeed preserved a piece of not only American history but RV history as well. If you'd like to plan your own Motorhome Holiday visit MotorhomeRoadtip.com to get started!